I'm just not in the mood, ok? And it's your fault. 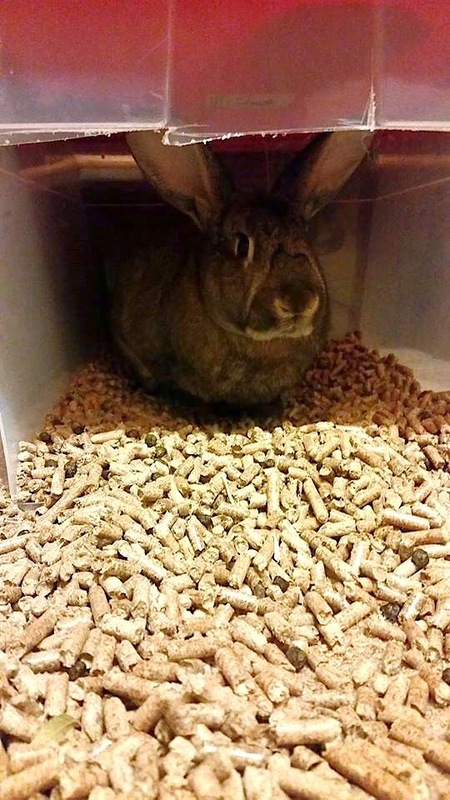 PS: According to Angela, "Big Brown was so upset with her hide-a-bunny box, she decided to fling her pellets out of it towards her other bunny friends and hoomin as well." She is so beautiful. I am afraid we can't form any judgements though with only Angela's side of the story. There has got to have been a lot more going on. It isn't that easy to make a bunn pout. Is that lava from Mt. B-Brown, flowing onward to the tar pits? If it gets to the tar pits, it's not going to be pretty. Yikes. Best to just back away slowly, place ample treats a few feet from the entrance and hope the retribution is not too severe!